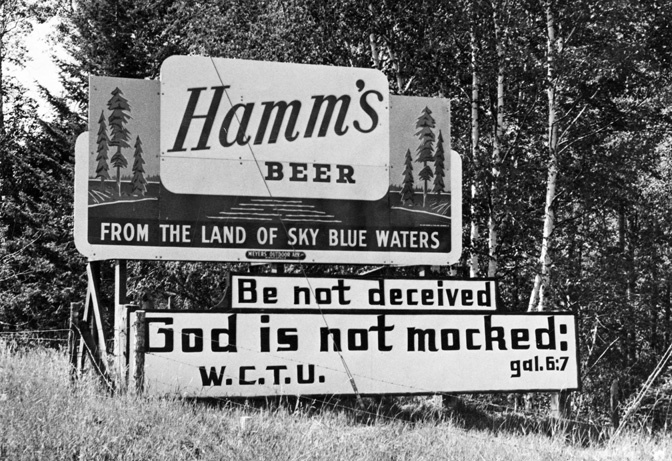 Founded in 1883, the Montana chapter of the Woman’s Christian Temperance Union (WCTU) was a popular, well-organized women’s club focused on reducing the consumption of alcohol in the state. Part of a broad series of reform movements that swept the country at the turn of the century, the WCTU was witness to women’s growing political power in the area of social reform. In her study of the WCTU and similar women’s clubs in this period, historian Stephenie Ambrose Tubbs argues that Montana women enjoyed a “growing sense of social and political power through their clubs’ active participation in social and civil affairs.” By­­ assertin­­g their role as reformers, the middle-class women involved in the Montana WCTU were restructuring ideas about femininity and women’s role in the public sphere. They challenged the traditional idea that a woman’s place was in the home, suggesting instead that society had become so morally corrupt that it required women’s political participation. They drew on the Victorian idea of women’s natural moral superiority to make the case that women had to take the lead in reform. To enable female reform, the WCTU included suffrage as part of its political agenda. 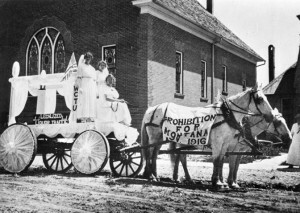 The organization’s leaders believed that the vote was a crucial tool for enacting social change and that reforms like prohibition would have a greater chance of success if women had the franchise. Thus, they argued for women’s right to vote as a social necessity rather than a natural right. The WCTU followed its success in the 1914 suffrage campaign with a reinvigorated push for statewide prohibition. They joined forces with the Montana chapter of the Anti-Saloon League to demand a referendum on prohibition. With a strong base of support among homestead communities, the referendum passed overwhelmingly in November 1916, and the law went into effect at the end of 1918. Harvie, Robert A., and Larry V. Bishop. “Police Reform in Montana, 1890-1918.” Montana The Magazine of Western History 33, no. 2 (Spring 1983): 46-59. Marilley, Suzanne M. “Frances Willard and the Feminism of Fear.” Feminist Studies 19, no. 1 (Spring 1993): 123-46. Montana Woman’s Christian Temperance Union Records, 1883-1976. MC 160, Montana Historical Society Research Center, Helena. Petrik, Paula. No Step Backward: Women and Family on the Rocky Mountain Mining Frontier, Helena, Montana, 1865-1900. Helena: Montana Historical Society Press, 1987. Tubbs, Stephenie Ambrose. “Montana Women’s Clubs at the Turn of the Century.” Montana The Magazine of Western History. 36, no. 1 (Winter 1986): 26-35. Tyrrell, Ian. “Temperance, Feminism, and the WCTU: New Interpretations and New Directions.” Australasian Journal of American Studies 5, no. 2 (December 1986): 27-36.